Feel how versatile and powerful an SUV can truly be when you get behind the wheel of a new Nissan SUV at Manchester City Nissan. With options like the Nissan Armada, Nissan Murano, Nissan Pathfinder, and Nissan Rogue you are sure to find the right model to suit all your needs in Vernon. Our current inventory offers V6 and V8 engine options with impressive towing specs. Check out our current inventory below and connect with us if you have any additional questions. 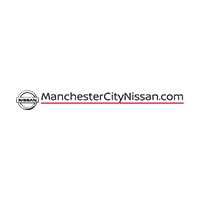 Why Choose Manchester City Nissan in Manchester for Your Next SUV? Schedule a test drive with us to experience features like the Nissan Rogue interior in person, and get driving in a new Nissan today!